Michigan Technological University was founded in 1885, with a mission to train mining engineers in Upper Michigan’s Copper Country. The University has evolved into a leading public research institution, home to more than 7,000 students from 54 countries. 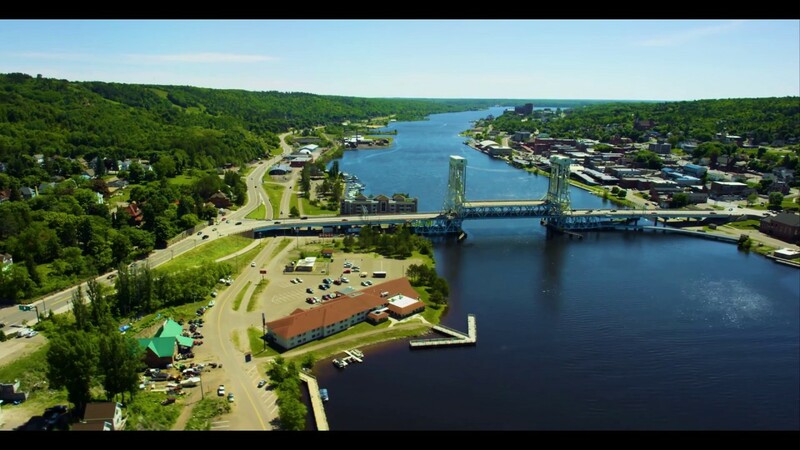 Our beautiful campus in Michigan’s Upper Peninsula overlooks the Keweenaw Waterway and is just a few miles from Lake Superior. Michigan Tech offers more than 120 undergraduate and graduate degree programs in science and technology; forestry; business and economics; health professions; the humanities; mathematics; arts; and the social sciences through seven Colleges and Schools. Our cross-disciplinary emphasis means every student, regardless of major, attends classes in one of the 10 departments within the College of Sciences and Arts. More than $72 million in research expenditures and 19 research centers and institutes help us foster a world-class and diverse faculty, staff, and student population. Partnering with institutions like NASA, the National Science Foundation, the National Institutes of Health, and the Environmental Protection Agency, we develop, apply, and create the future in science, technology, engineering, and mathematics. We work across disciplines in many ways, including efforts to equip vehicles with technologies that improve ecological decisions, safety, and energy use; communicate about, and develop the policies governing, contemporary technologies; develop the scientific understandings and social dimensions of human health; and communicate about the nature of our modern technological world. Our graduate students are active in one-on-one graduate-to-faculty research projects, and in 2016, our undergraduate students conducted 126,000 hours of paid research. Provide leadership toward achieving the highest possible level of excellence in teaching, research and service. Help to align departmental efforts with the strategic plans of the College and University. Support, encourage, and communicate effectively across cultural boundaries and work harmoniously with diverse groups of students, faculty, and staff. Support ongoing efforts to increase externally funded research. Actively engage in fundraising activities. Enhance ongoing efforts to increase student enrollment and improve infrastructure. Participate in review and assessment of academic programs within the Department of Chemistry. Seek student feedback on matters of concern from those enrolled in departmental programs. Actively engage in University continuous improvement initiatives, apply them to departmental activities, and encourage continuous improvement practices among faculty, staff, and students. Communicate position requirements for training needs to appropriate personnel to gain necessary resources. Ensure that employee training records are maintained. Apply safety-related knowledge, skills, and practices to everyday work. Enhance research collaborations and visibility. Ensure compliance with all applicable University, state, and federal safety regulations. Provide leadership to foster a culture of safety; promote safety through actions, communications and training, and integrate safety practices into daily activities. Earned PhD in Chemistry or closely related discipline. Faculty at the rank of full professor, or immediately eligible for that rank. Teaching and mentoring at the university level. Leading at the department, college, or university levels. Proactive leader with demonstrated excellence in promoting teamwork and effective organizational strategies. Experience working effectively within a structure of shared governance. Demonstrated excellence in undergraduate and graduate education. Evidence of securing and leading externally funded research projects. An internationally-recognized reputation in chemistry or closely related discipline. Commitment to promoting a culture of safety. Commitment to promoting a culture of continuous improvement. Experience engaging with prospective students, alumni, and corporate representatives. The Department of Chemistry is a diverse community of scholars—16 faculty, three research faculty, and nine staff—committed to excellence in research and education in chemistry, particularly in the areas of medicinal/biochemistry, environmental chemistry, and materials chemistry. We strive to contribute fundamental knowledge in these areas for the benefit of our environment, society, and humanity. We offer undergraduate programs in chemistry, biochemistry/molecular biology, cheminformatics, and pharmaceutical chemistry. We have several graduate degrees in chemistry, including an accelerated master’s degree (BS-MS), master’s, and doctoral degrees. Our faculty lead externally funded research projects actively engage undergraduate and graduate students. We have several research groups in multiple areas of chemistry that expand boundaries in areas as diverse as molecular probes, novel synthetic approaches in the production of nucleic acids, applications of nanoparticles and bio-composites, and atmospheric aerosol chemistry. The College of Sciences and Arts (CSA) is home to 10 academic departments, the Army and Air Force ROTC units, 1,551 students, 159 tenured or tenure-track faculty, and 72 staff. Through 30 different majors, 33 concentrations, 36 minors, and a significant responsibility for foundational learning and general education across the campus, the CSA contributes substantially to the education of every Michigan Tech student. Our strength lies in interdisciplinary research and problem-solving. We prepare students to create the future. The College of Sciences and Arts is engaged with all academic units as a strong partner in the effort to make Michigan Technological University a premier technological university, one that pursues education and research about all aspects—business, scientific, and technical; human, social, cultural, and artistic; structural and organizational—of the technological world in which we live. To offer the general education in the liberal arts and the foundational learning in the natural sciences and mathematics that provide all Michigan Tech students with the communicative, analytic, and cultural skills and the fundamental knowledge that are the essential tools for success in every profession and field of endeavor. No other college at Michigan Tech shoulders such a wide responsibility, and success in these tasks requires every CSA department to develop and maintain complementary and balanced undergraduate teaching and graduate education and research efforts. The College places emphasis upon achieving national and international recognition by identifying and promoting education and research that cross disciplines and draw upon the strength of multiple departments in innovative ways. Learn more about the College of Sciences and Arts' mission and plan. Identifying ways to increase efforts to recruit international students, especially graduate students. Enhancing existing connections between CSA faculty and foreign universities. Supporting efforts to take advantage of programs that support and assist the recruitment of international students. Developing relationships with tribal colleges. Developing relationships with tribal colleges. Ensuring that faculty can be successful in the classroom and in their research and scholarship is an important part of the long-term success of diversifying the campus. To improve its efforts to mentor faculty, the CSA pursues a number of activities across the College (with departments adopting programs that fit the specific needs of their disciplines). These include the use of Early Career Management committees to improve grant development and teaching. Out of 175 total faculty, both tenure- and non-tenure-track, more than 120 were hired in the last decade. The College’s faculty is young, dynamic, and committed to teaching and research. A key task for the new chair will be to harness this unprecedented level of academic talent in pursuit of ever stronger educational and scholarly accomplishments. Since 2010, the CSA has shifted from program-building efforts to fine-tuning the academic offerings and degree programs already in place. The College’s strength is in the wide range of disciplines within which its students and faculty operate, and we seek to further lower the barriers between disciplines and academic units. Above all, the College’s departments have developed academic programs that exemplify what it means to be a technological university. All CSA departments address the need to balance the delivery of distinctive programs for majors and graduate students with the responsibility to offer foundational courses and upper division electives in the sciences, social sciences, arts, and humanities for other majors. The acceptance of such a varied mission is a hallmark of the faculty within the College, who seek always to prove that teaching and scholarship are complementary and reinforcing. CSA faculty have been awarded numerous University research awards, and increasingly attract external funding to support their research and scholarship. This research is diverse and expanding. It ranges from physics and chemistry of new materials to environmental policy; from the constantly changing opportunities in computing and information to ecological research on the Great Lakes; and from statistical genetics to all other areas of human health. External awards are essential to pursuing these activities and funding from outside sources has more than doubled over the last decade. External research funds can provide only part of the foundation required to build stronger research programs within the CSA. Grants provide the funds for conducting research, especially the means for supporting the salary and tuition of graduate students. Because most funding agencies provide only limited resources for constructing or acquiring facilities within which research takes place, gaps in funding for graduate student support, faculty and student travel, and other expenses, must increasingly be met through endowments. 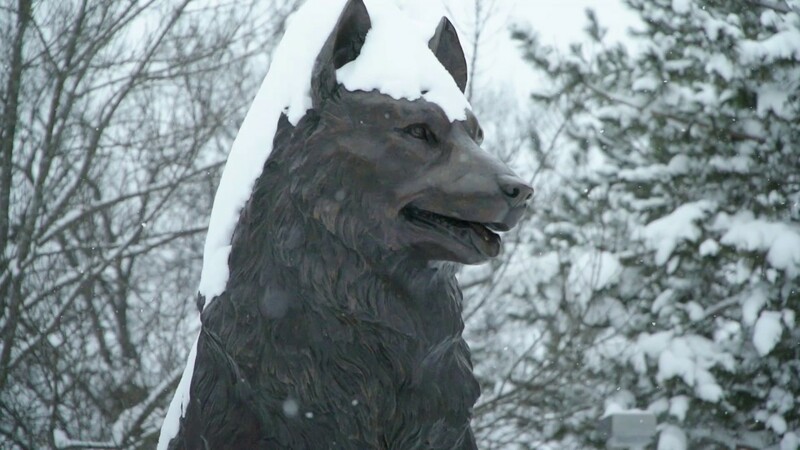 Over the past 35 years, Michigan Tech has evolved from an engineering school to a technological university—a research-intensive university that specializes in science, technology, engineering, and mathematics. Strong programs in the sciences, liberal arts, and humanities have become not just important but essential, and not simply because they offer foundational instruction. In a world marked by rapid scientific and technical change, graduates who grasp the fundamentals of science and math can expect to have successful careers. But rapid transitions in science and technology are matched by global shifts in societal patterns, economics, culture, and politics. Navigating these changes can prove even more difficult than understanding the science and technology behind these shifts. Students leave Michigan Tech knowing, and knowing how to learn more about, both aspects of change. To that end, the College of Sciences and Arts prepares its students—foundational learners, undergraduate majors, and graduate students alike—to create the future in this complex, ever-changing world. And the College takes pride in attempting to educate the “whole person” of our students. Richard J. Koubek became Michigan Technological University’s tenth president in July 2018, bringing 30 years of higher education experience to the role. In 2015, he was named executive vice president and provost of Louisiana State University (LSU) after serving as dean of the LSU College of Engineering since 2009. Previously, Koubek served as head of Pennsylvania State University’s Harold and Inge Marcus Department of Industrial and Manufacturing Engineering; chair of the Department of Biomedical, Industrial and Human Factors Engineering at Wright State University; and associate dean of research and graduate studies in Wright State’s College of Engineering and Computer Science. Koubek began his academic career as a faculty member in Wright State University’s College of Engineering and Computer Science. He later served six years as an assistant and associate professor in the School of Industrial Engineering at Purdue University and as a full professor at Wright State, Pennsylvania State University, and LSU. Koubek earned a bachelor’s degree in biblical literature, with a minor in chemistry, from Oral Roberts University, and in psychology from Northeastern Illinois University. He received his master’s degree and PhD in industrial engineering from Purdue University. Science Foundation’s Directorate for Geosciences. Huntoon has been recognized nationally for her leadership in higher education and in her field of geology. She has served as a member of the boards of the Council of Graduate Schools, Geological Society of America, Graduate Record Exam, Michigan Science Teachers Association, Midwestern Association of Graduate Schools, and National GEM Consortium. She is a fellow of the Geological Society of America. Huntoon earned her PhD in Geology at the Pennsylvania State University and is a member of the Geosciences Department Alumni Advisory Board. In 2016, she was awarded the Charles L. Hosler Alumni Scholar Medal by the College of Earth and Mineral Sciences at Penn State. Her work has been supported by more than two dozen sponsored research awards, including most recently a $5 million grant from the Herbert H. and Grace A. Dow Foundation to reform middle-school science education in Michigan. Less than one percent of Michigan Tech students come from families who are in the top one percent of family income. But 2.2 percent of our students end up there later in life. About 38 percent of Michigan Tech students come from families in the top 20 percent of family income; 61 percent of our students end up there later in life. Eighteen percent of our students move up two or more income quintiles. And the chance of a student moving from the bottom 20 percent of household income to the top 20 percent? 47 percent. This is why access to education is important. This is why financial aid is important. Over 90 percent of Michigan Tech students receive financial aid in the form of merit and need-based support, and 26 percent—those students from the bottom fifth of family income—benefit directly from Pell grants. In fact, seven percent of our first-year students this year had financial need. They had more need than their counterparts at 11 of the other Michigan public universities and at 13 of the state’s private colleges. These are good, solid students from all 80 counties, which is why we’re rated as an A+ school for B students by US News & World Report and a (great) school that you can actually get into by Time and Money magazines. Michigan Tech is a globally recognized technological university that educates students, advances knowledge, and innovates to improve the quality of life and to promote mutual respect and equity for all people within the state, the nation, and the global community. Create solutions for society’s challenges by delivering action-based undergraduate and graduate education, discovering new knowledge through research, and launching new technologies through innovation. Accomplish our mission through interdisciplinary education, research, and engagement with partners to advance sustainable economic prosperity, health and safety, ethical conduct, and responsible use of resources. Our specific focus is on education, scholarship, and people; this requires sufficient revenues from state, federal, corporate, and philanthropic sources. 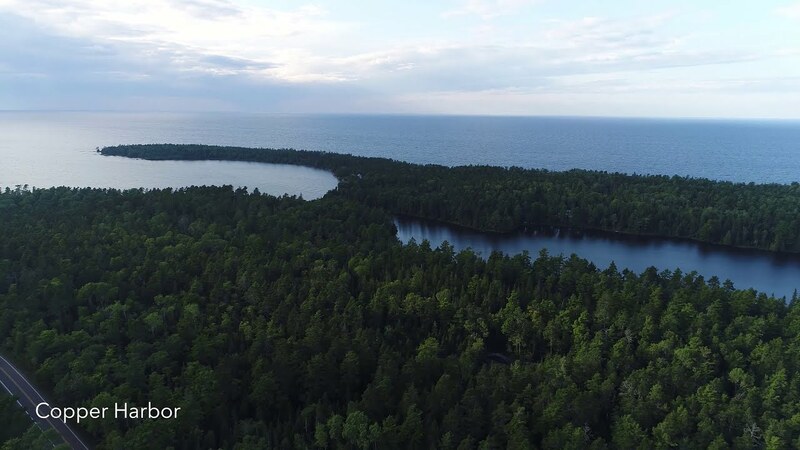 Our setting on Michigan’s Keweenaw Peninsula provides a beautiful backdrop to world-class research and education. Michigan Technological University is located in Houghton, Michigan, which was included in The 100 Best Small Towns in America, by Normal Crampton, as one of the best rural places to live in the US. Houghton, Hancock, and the surrounding towns have a combined population of approximately 15,000. However, add in the Michigan Tech student population, and it grows to more than 22,000. Safewise ranks Houghton in the top 20 safest college towns in America. Houghton-Portage Township schools rate 9 out of 10 on greatschools.org. The Keweenaw Peninsula is temperate, averaging in the low- to mid-20s and mid- to high-70s in the summer. Winter brings more than 200 inches of snow, whereas summer is generally sunny. Houghton’s historic downtown features locally owned shops, eateries, museums, and brewpubs, while chain restaurants, and major shopping outlets are a short car ride away on the business strip. You can also explore locally owned stores across the bridge in Hancock and in historic Main Street Calumet, just 15 miles north of campus. Michigan Tech’s arts and entertainment scene is vibrant, diverse, and global. The University is home to the area’s premier performing arts venue, the Rozsa Center, and the unique black-box McArdle Theatre in the Department of Visual and Performing Arts. Michigan Tech hosts the region’s largest, oldest multicultural festival, flying the flags of more than 60 countries represented on campus and in our community. Thousands join us in mid-September for international food, entertainment, and family activities promoting global peace and unity. Candidates who are selected for on-campus interviews will be offered the opportunity to bring a guest with them for their visit.